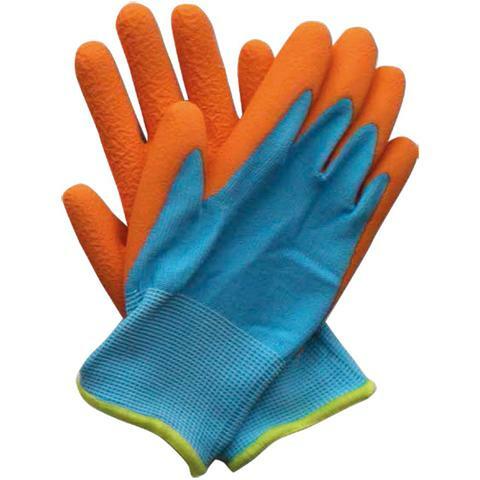 Part of the Briers Kids collection, the Briers Kids Junior Digger Orange and Blue Gardening Gloves B5313 are ideal for protecting little hands while they have fun helping out with the gardening. The gloves feature a one-piece liner and an elasticated design to provide a snug fit, improving both comfort and movement to ensure your little ones can enjoy playing in the garden without restriction. The bright colours will appeal to most youngsters, providing them with fun and comfortable gloves that are designed for children approximately 5 to 9 years old. 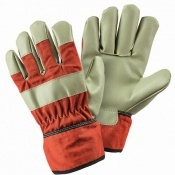 The product code for the gloves is: B5313. Ideal for encouraging children to head outdoors and explore nature, the Kids Junior Digger Gloves are provided in a bright orange and blue design. They are specially designed to appeal to smaller hands, providing a fun encouragement for children to be more active outside and in the garden. Would your children prefer different colours? 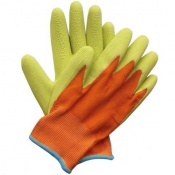 These gloves are also available as Kids Junior Digger Green and Orange Gardening Gloves. The Briers Kids Junior Digger Orange and Blue Gardening Gloves B5313 are available in a single size. The gloves have been designed to fit the hands of children around the ages of 5 to 9.